With the defeat of ISIS terrorists in Syria, Israel’s obsession with Iran has turned into a nightmare. Netanyahu has cried WOLF so many years that during his recent meetings with Russian president Vladimir Putin and US president Donald Trump, he failed to scare his hosts of Iranian threat to either Russia or United States. Last year, Times of Israel had claimed that Lebanese Islamic Resistance Hizbullah was receiving long-range missiles, laser-guided rockets and other sophisticated weaponry directly from Russia in Syria, and is free to use that weaponry against Israel if it so chooses. The so-called Russian threat came during the extension of the United Nations peacekeepers in Southern Lebanon (UNIFIL) mission for another year. Both the US and Israel asked more powers for UNIFIL to check Hizbullah activities along the Sheba’a Farms, Lebanese territory occupied by the Zionist entity since 1967. Lebanon rejects any mention of Hizbullah in its military activities along Lebanon-Israel-Syria border. On June 16, 2016, Israeli propaganda website Algemeiner reported that Putin had promised Netanyahu during their meeting in Moscow that if Barack Obama didn’t veto anti-Israel resolution at the UNSC – he would do it. Washington has used 37 times its veto power to protect the Zionist entity at the UNSC. The United Nations Interim Force in Lebanon (UNIFIL) was created on the behest of United States in 1978 to help Jew army to withdraw from Southern Lebanon and replaced by the US-funded UNIFIL force. The Israeli invasion and occupation of Lebanon forced Shi’ite majority in South Lebanon to establish Hizbullah humanitarian organization – later turned into armed resistance against Jew occupation force and its local Christian proxy Phalangist militia – the butcher of Sabra and Shatila Palestinian refugee camps in 1982. 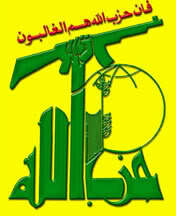 Since its armed resistance in mid 1980s, Hizbullah fighters have defeated Jewish army three times – 2000, 2006 and 2017. Sharmine Narwani, a renowned commentary writer and political analyst on Middle East conflicts, posted an article at American Conservative (September 6, 2017), a publication of Jew millionaire Ron Unz. She blogs here. “Events on Israel’s western, northern and eastern borders have suddenly – in a few short weeks – scuttled the geopolitical balance that once favored Tel Aviv. Just a few years ago, Syria was disintegrating, Iraq was fragmenting, Lebanon was over-extended, and Gaza struggled alone,” she said. “Today, the likelihood of Iran enjoying a contiguous land corridor between its borders and the occupied Golan territory is greater than ever before. The Resistance Axis has gained tremendous military experience in the past six years in Syria, Iraq, and Lebanon—and most importantly, has done so by coordinating troops, intelligence and battle plans from a single command center, for the first time in its history as an alliance. Furthermore, this axis now enjoys international political cover from two permanent UN Security Council members, Russia and China. The Russians now have significant military experience alongside three members of this axis, and the Chinese are eager to expand their economic vision into those West Asian states, with Iran as a key hub for oil and gas pipelines,” she adds. “As these countries move forward to extinguish regional terrorism and reconstruct their infrastructure and societies, the Israelis will be left out in the cold. But while Israel’s options dwindle, its military plans seem to keep getting more attention. It’s the one option – the stick – that the Israelis gravitate to most easily, and a war of aggression against Lebanon and Gaza, or strikes against Syria, are not out of the question,” she said.